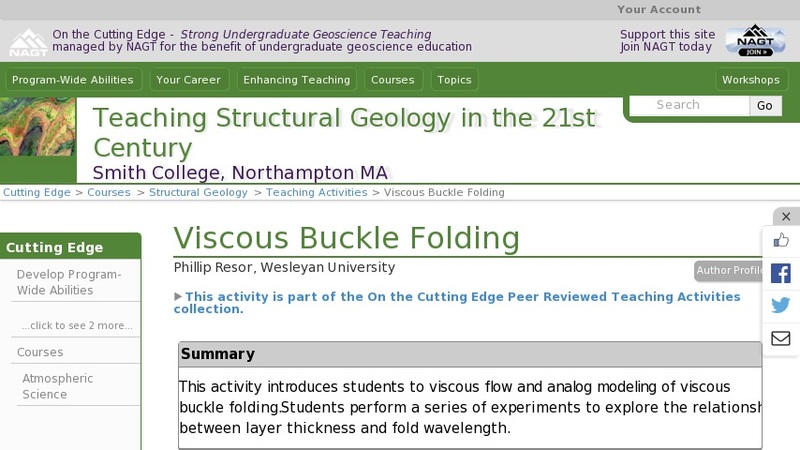 In order to better understand ductile deformation and the growth of folds students perform a series of experiments with readily available viscous analog materials. Students begin by exploring the concept of viscosity and viscous flow problems by using Stoke's Law to measure viscosity of corn syrup from the terminal velocity of a falling steel ball. The students then complete a second series of experiments folding a stiffer material (fruit leather) within a corn syrup matrix. By varying the thickness of the fruit leather layer they discover the linear relationship between layer thickness and dominant wavelength predicted by viscous fold theory.